Holidays on Lake Garda are characterized by endless possibilities for sport, relaxation, and art with activities available throughout the year. 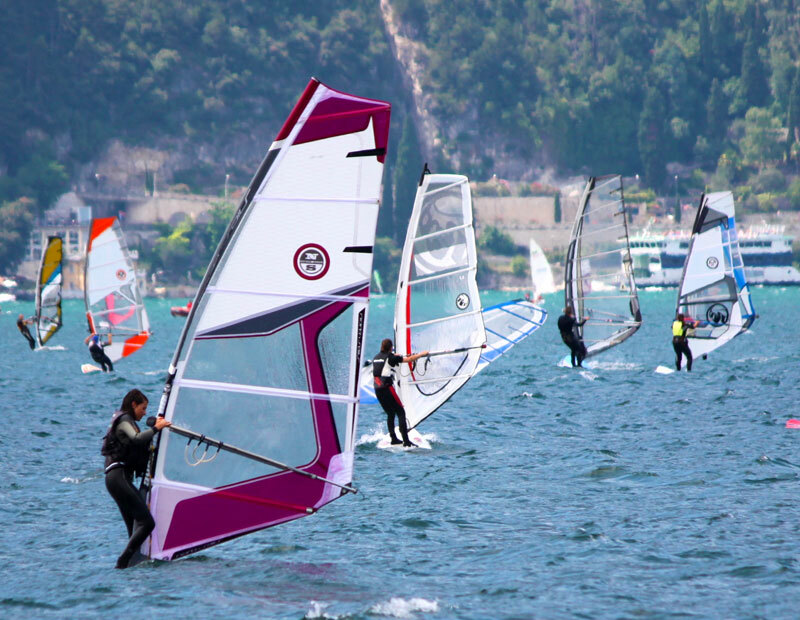 Places like Lake Garda where you can combine so many different activities are rare. To the north there is the natural conformation offering high cliffs with a sheer drop into the clear waters of the lake, which shift to the hills of the middle lake, and then to the plains of the lower lake. Each environment offers a variety of attractions for all tastes: adrenaline sports such as rock climbing, windsurfing, challenging mountain bike courses to the north, and romantic trails for a peaceful stroll. For those in search of a romantic and cultural holiday, there are also routes and destinations to meet all needs. The valley of the Toscolano Maderno paper mills located just minutes from our hotel offers an interesting historic tour to discover the first paper mills. Alternatively the Forra Tremosine road offers a view of exceptional natural beauty and was the setting for some important films. Not to mention the proximity to cities with incredible historical value such as Verona and Brescia. Upon the hills of Lake Garda, deep into a park of 144 hectares, there are the courses of Arzaga Golf Club; 27 holes realized by two of the most famous signatures of golf: Jack Nicklaus II designed the first 18 holes PAR 72 and Gary Player the following 9 holes PAR 36, characterized by fairways and buckers which remind the famous Scottish “Links”. If you want to start playing golf of if you want to improve your technique, the Club offers a very complete Driving Range with 3 Pitch & Putt holes and one area for the approaches; you can also rely on the Academy, now managed by the Italian Golf Academy. 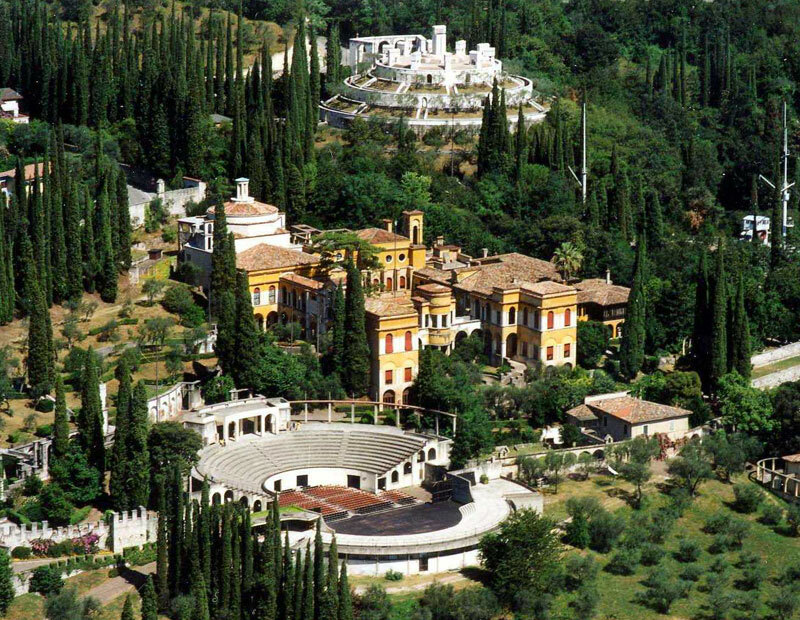 The Vittoriale degli Italiani, or Shrine of Italian Victories, monumental citadel on the hillside of Gardone Riviera and estate residence of the poet Gabriele d’Annunzio from 1921 to 1938, is only 2 kilometres from the hotel distant. In Gardone Riviera there is also the botanical garden of the André Heller Foundation which represents an important artistic and ecological destination, where nature embraces artificial structures and contemporary sculptures creating amazing scenic effects. The combination of the old-centuries tradition and the Mediterranean micro-climate of the lake makes the Garda a thriving area for vineyards and oil tree groves. 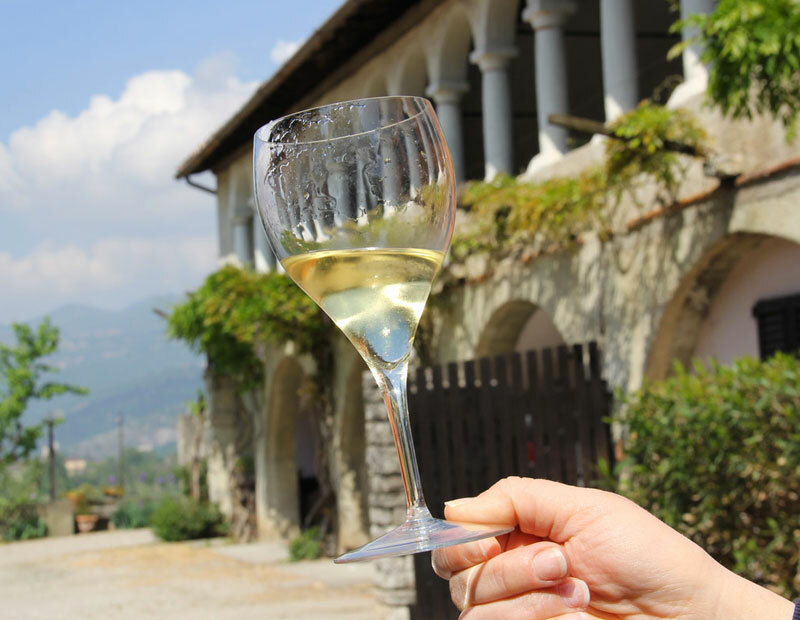 Garda’s DOP extra virgin oil and typical wines like the Chiaretto del Garda, the Lugana and Garda’s classic red produced by many and renowned wineries scattered all over the local territory must be pointed out. One unfailing evening attraction are the numerous country festivals, where you can enjoy yourself eating the specialities of the place in a typical local atmosphere. From the hotel’s site it is possible to reach the outback country of the Lake Garda so that you can immerse yourself in pleasant country walks to the mount Spino (rifugio or mountain cabin), mount Pizzoccolo (1581mt. and beautiful view on all the Lake Garda) and to the Valvestino Valley from which a dozens of hiking trails both suitable for trekkers and bike-riders start. 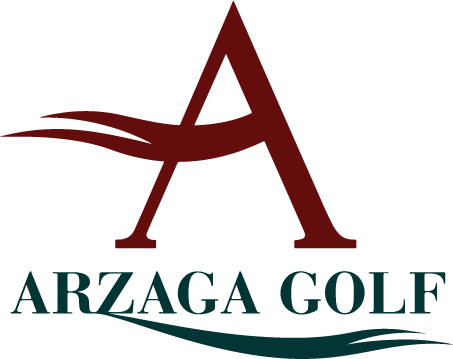 Only a few kilometres distance from the hotel there are 4 different golf courses fitting both advanced and amateurs players: Golf il Colombaro at Salò, Gardagolf Country at Soiano, Bogliaco Golf Resort at Bogliaco and Arzaga at Calvagese. Lake enthusiasts have the possibility to rent sailing boats, motor boats and therefore plunge themselves in the search of the most remote spots of the Lake Garda.